Location-based services (LBS) are the hottest trend in town, with people running from place to place “checking in,” and making themselves moving targets for marketers and messages. It is the ultimate in permission-based marketing, according to Advertising Age Digital, but marketers must ask themselves the following eight questions before they get moving with their LBS strategies. 1. Does LBS fit your brand’s marketing goals? LBS is primarily being used by early-adopters and may change when it expands to more audiences, so set realistic goals on what you can achieve at this test-stage technology. 2. Does the LBS service you’ve selected match your target audience? Make sure that LBS makes sense for your product. If your target market is tech-savvy social networkers, LBS can be perfect for you. 3. 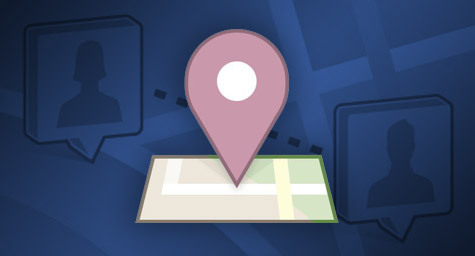 Will location enhance your brand? Consider whether location relates to your brand and how certain places could trigger people to use your product. 4. Does it scale? If scale is your goal, try using location to target specific audiences, or go for a location-triggered SMS program that can reach all of your interested customers on any mobile device. 5. Do you have a measurement strategy? Some LBS have you measure success in terms of number of check-ins, product scans, or awards of branded virtual goods. Determine what each should mean to your brand. 6. Are you using LBS with coupons to reward your best customers or attract discount hunters? The question with coupons is whether the people who act on these promotions will return, or if they’ll simply try the product once then go on to the next coupon. 7. Are you aware of the privacy implications? Only work with LBS partners who are fully privacy compliant or risk the wrath of angry consumers. 8. Are you ready to market your LBS efforts? Since LBS reach is still very low, make LBS part of your larger campaign strategy by offering activation through in-store signage, out-of-home, print ads, or even tag it in a TV commercial. Before you decide to check in with LBS, answer these important questions to see whether it’s a smart move for your brand.